Brooke Blanchard (Undugu Society of Kenya): In 2004, Brooke conducted research on child labor abuses in Ecuador and worked as a physical therapist for children. In 2009 she worked as the Youth Program Coordinator at the International Rescue Committee. At the time of her fellowship Brooke was pursuing her MA in International Affairs at Columbia University’s School of International and Public Affairs. 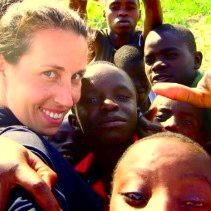 After her fellowship, Brooke wrote: “After working in the slums, I see myself as unbelievably fortunate. It was very trying at times, so I think I’m proud of getting through the most difficult aspects." Slum Schools: Food or Thought?